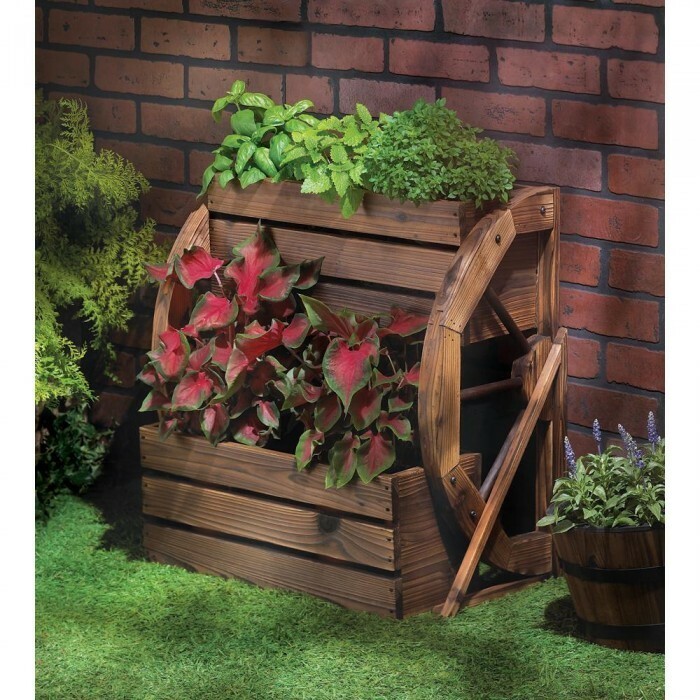 WAGON WHEEL DOUBLE-TIER PLANTER by Summerfield Terrace home decor, jewelry, decor, decorations, electronics, fountains, floor mats, art glass, vases, garden essentials, fireplace screens. Add a fresh touch of the country, complete with greenery, and enjoy your garden in a whole new way! Double-level planter features a quaint wagon wheel theme and rustic finish, with plenty of room to proudly show off your favorite blooms. Contents not included. Each planter: 19" x 8" x 8" high. Material(s): WOOD - FIR. Weight 11 pounds.